Whoa whoa whoa whoa whoa! I spent so much time typing up this blog post the other day. I come on to check my blog and see that NONE of my writing saved. Major bummer! I have wanted to optimize my whiteboard space better and bought some floor tape to do it. I found the floor tape on a Pinterest post and couldn't wait to put it to use. 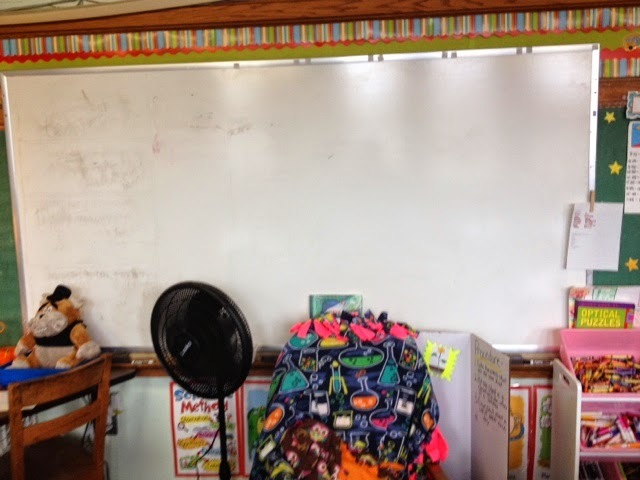 I have two whiteboards in my classroom that are next to each other. I use the one below for notes and learning targets. I use this one to post homework, special notices, and Daily 5 work. I began the process by peeling off all the floor tape. 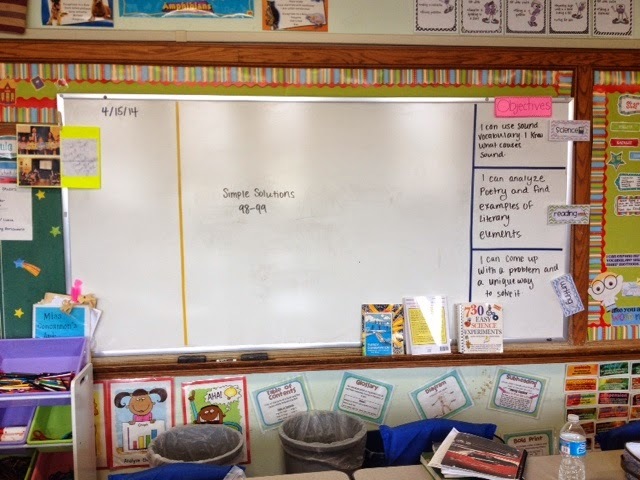 I cleaned the whiteboards. 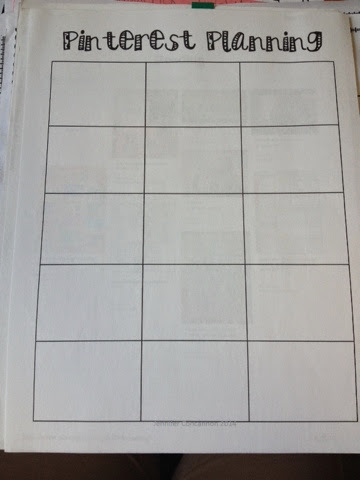 Then I mapped out how I wanted the "new" board to look. I kept the homework in the same spot but rearranged the order of subjects. 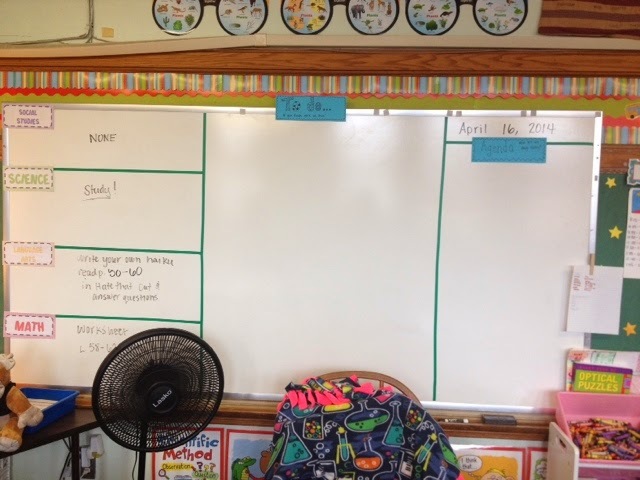 I created a "To do" board for early finishers and the agenda to show what we are going to cover during a class period. The agenda gives those worrywart students an idea of what we will be doing and helps keep me on track! 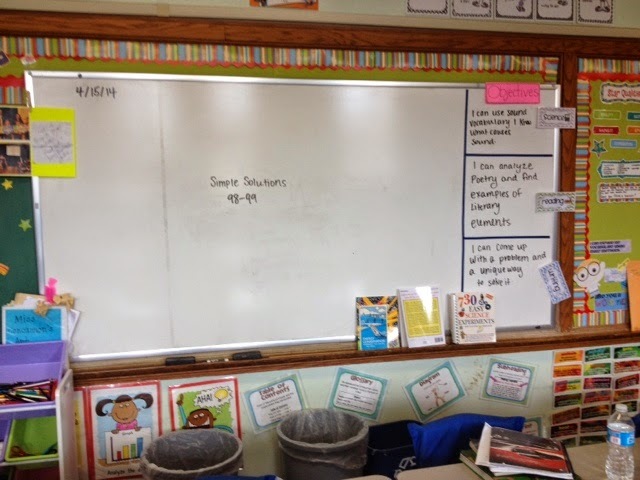 I didn't change much on the whiteboard to the right. 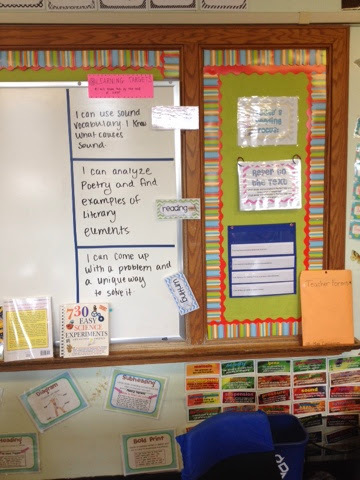 I changed the objectives to say learning targets and moved the things on the bulletin board. 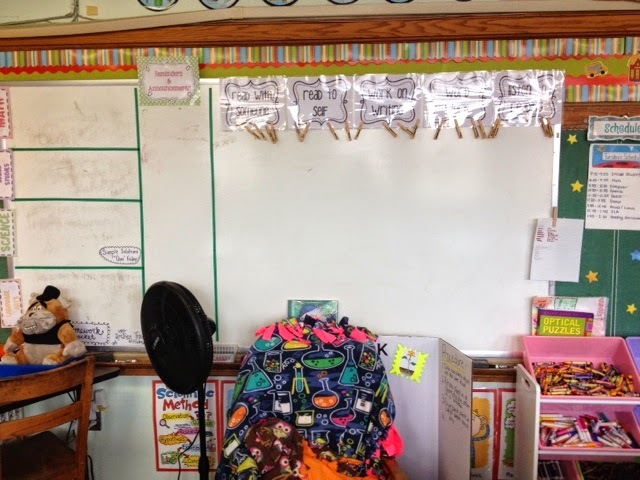 I brought over my reading focus wall and objective board so that it is right next to the learning targets. When my students came back from computer they were all excited to see the changes! On a side note...I wanted to share something I have been working on to keep me organized. I have all the ideas that I pin. I plan on using them as the units approach, but in the craziness of daily life I often forget about it. When I stumble upon it later it is so frustrating that I missed an opportunity to try something new. I am such a visual person. I need to have everything in front of me to use it. 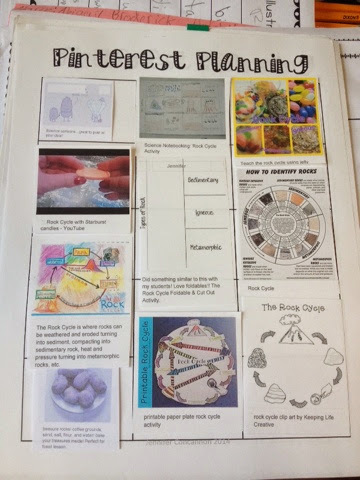 I created this Pinterest planning page, which comes from my teacher binder found on TPT or TN. I print out all my pins and sort them by unit. Then I organize them on the page, laid out all nice and neat, and put it into the binder for the unit.